18 Spiritual Months of Sister Ting: Pondering Time: Have you learn something from a book you read lately? Pondering Time: Have you learn something from a book you read lately? Recently I have been reading this book called :A Single Voice by Kristen M. Oaks who had stayed single for 52 years until she met her husband Elder Dallin H. Oaks (Quorum of the Twelve Apostles in my church). 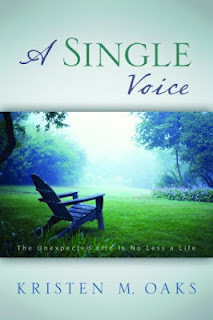 In the book, she shared her life as a single woman and the many lessons and experiences she learn while being a single. There are many words of wisdom and great examples from the book, but one of the main thing I learn from the book is that single man/woman doesn't have to wait until they are married to live a happy productive dream life. A happy productive life begin the moment you start enjoying the journey toward a happy life - the unexpected life is no less a life. Even for one who'd tortured me so long." "A good marriage does not does not require a perfect man or a perfect woman. "Dress your best and look your best, but know you only have seventy seconds for people to care what you look like before they notice who you are and what you are saying". "... when we look good, we feel good. Taking care of ourselves can increase our respect for ourselves. We wash our car, vacuum our home, and do our dishes - we shouldn't neglect to maintain ourselves." " As single sisters we have little control over when we will marry, but we do have control over the environment we create for ourselves."